Is there any more popular caffeine supplementation method than the energy drink? 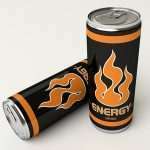 Energy drinks are a popular method for people to gain a little boost throughout their day. Normally, they exist in some soft drink form and contain various levels of sugar, caffeine, and related stimulants. Though widely regarded among those that consume them regularly as effective, various studies and research have pointed to the fact that caffeine is the only ingredient in these drinks doing the heavy lifting. 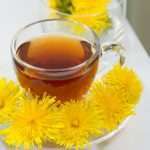 Dandelion tea has been making quite the splash recently. Apparently, this herbal mixture has been used for hundreds of years as a natural healing cocktail that can alleviate symptoms from various ailments, regulate the liver, improve kidney function, etc. 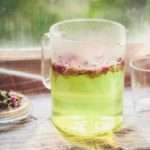 While these health claims don’t have much in the way of solid peer-reviewed research backing them up, what is undeniable is that there is more than one way to make tea, and options like dandelion tea provide a unique flavor profile that even non-aficionados should at least one to give a try once in their life. Of all the varieties of tea brewed from the Camellia Sinensis plant, green tea is perhaps the one with the most storied reputation. Despite its bitter taste, people buy and drink it in droves, in no small part to the numerous health benefits associated with this form of tea. Just look at that WebMD article. Though they eschew the idea of green tea being a magic weight loss formula, medical professionals are intrigued by the catechin content it holds, something that may help it improve blood flow and cholesterol. In addition to that, though, it may also help with stabilizing blood sugar levels and helping improve brain function, helpful facts for anyone, but of value to individuals who may be at risk for degenerative diseases like Alzheimer’s. 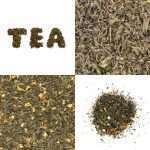 Loose leaf tea, and, by extension, whole leaf tea, are varieties of tea that use a more complete form of tea leaf in their brewing process. Unlike “normal” tea from teabags, which use a finely granulated form of tea, loose leaf tea uses larger leaves with a reduced total surface area. This is appealing to many tea drinkers, because the brewing process for loose leaf tea helps preserve its intense flavors, leading to a finished cup of tea that is tastier and more pleasing to serious tea aficionados. Italian soda is a drink made from carbonated water, sugar (usually in the form of a syrup) and flavoring. The flavoring is often a fruit flavor such as strawberry or blueberry, a dessert flavor such as chocolate or an aperitif flavor such as amaretto. A variation on the Italian soda includes cream or half-and-half poured on top of the mixed soda. This is sometimes called a creamosa or Italian cream soda, or a French soda. The flavoring for Italian soda can be made at home or purchased already made. 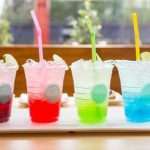 Italian soda did not originate in Italy, as you might expect, but was invented in the United States by Italian Americans.